Indianapolis Motor Speedway news from the track located in Indianapolis, IN. 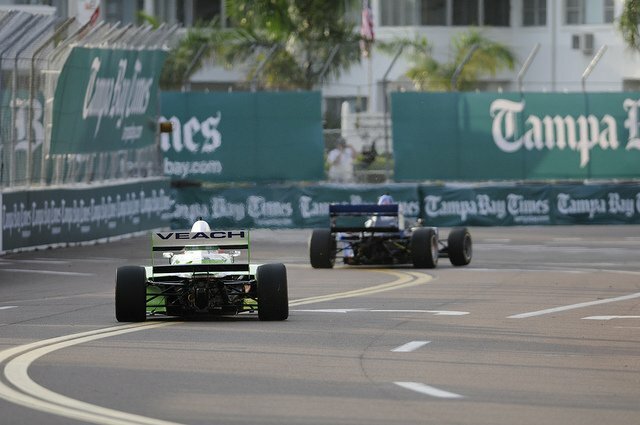 Coverage includes stories on the famed Indycar Series event the Indy 500. View the latest Indianapolis Motor Speedway headlines here. Freedom 100 competitors are quick to let Sage Karam (SageKaram.com) know that over 40 laps on a 2.5-mile oval it’s not so much where you qualify as where you’re set up for the final sprint. 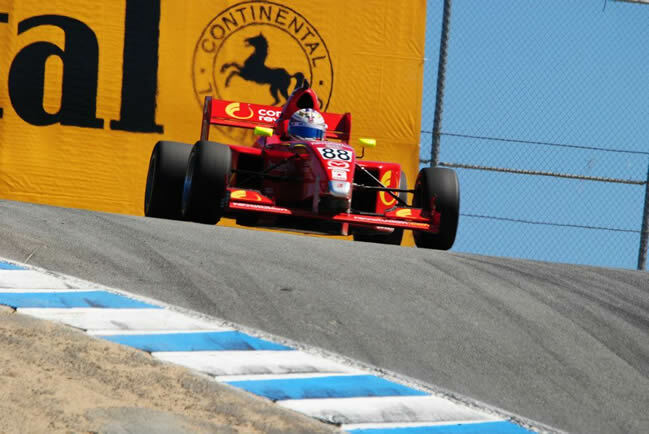 INDIANAPOLIS – Andretti Autosport announced today it has signed 17-year-old Zach Veach to compete in Firestone Indy Lights alongside 20-year-old Carlos Muñoz. Veach will pilot the No. 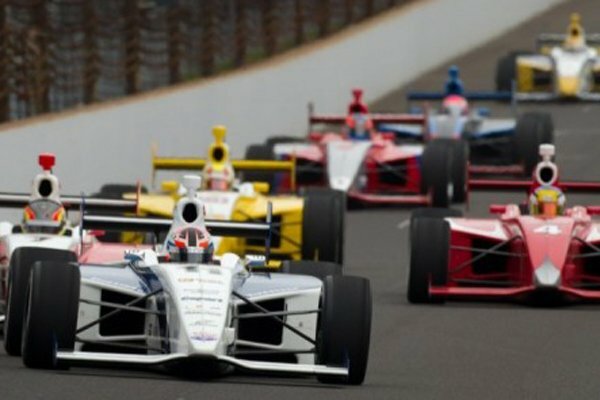 12 K12 entry for the 2013 season, which includes the Freedom 100 held annually at the Indianapolis Motor Speedway. 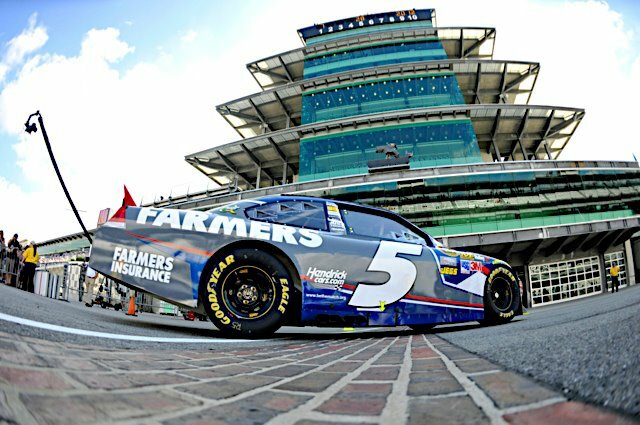 Indianapolis was a great event for the Hendrick Motorsports Sprint Cup Series team. Jimmie Johnson crossed the line first and kissed the brick. Johnson’s teammate Dale Earnhardt Jr also took the top spot in the series point standings after Matt kenseth’s misfortunes. Below are official team photos from the event. 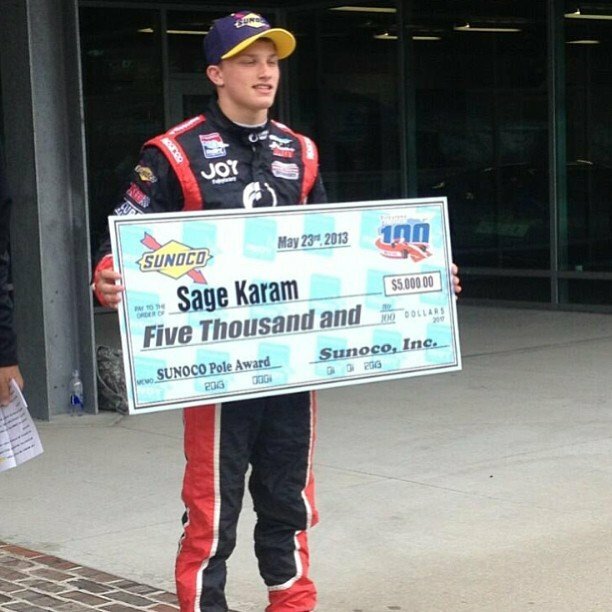 Two major smashups marred the 40-lap Firestone Indy Lights Freedom 100 at Indianapolis Motor Speedway on Friday as Sam Schmidt Motorsports’ Josef Newgarden navigated the 100-mile test for his first win at the Brickyard. Teammate Esteban Guerrieri finished second and Victor Garcia of Team Moore Racing completed the podium in front of an estimated crowd of 100,000 fans gathered for Carb Day at The Brickyard.